6" plastic tube with silver cap. 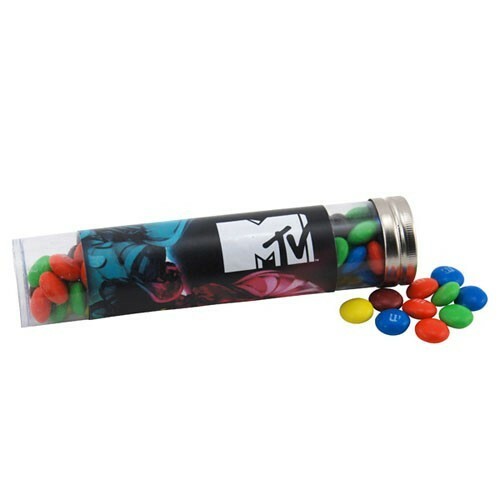 Filled with M&M's. Imprinting Information: Full Color Label Set-up charge $45(V) . Re-order set-up charge $30(V).